When it comes to the annual celebration of passion and love, you either embrace it wholeheartedly or recoil in disgust. Whether you’re attached, single or ‘it’s complicated’, Valentines Day definitely evokes strong feelings and takes over our social media for the 24hrs surrounding it – as do the shades of pink and red. Always one to push the boundaries and get their creative thinking caps on, Kiko Cosmetics have put an interesting twist on the usual love stories we see at this time of year; their new ‘Best Friends Forever‘ collection is dedicated to friendship and the bond that exists between you and your special buddies, rather than going down the route of ‘wear this lipstick and the boys will fall over in admiration’. They say: “A friendship begins with a smile. A friendship is an everlasting bond. A friendship grows when two people freely and happily share their dreams and adventures.” Although the cynic in me says this is just a clever way of targeting makeup enthusiasts universally with yet another new porftolio of product, the romantic in me thinks it’s a great way to ensure Valentines is inclusive and celebratory of all kinds of love that exist – not just that between partners. 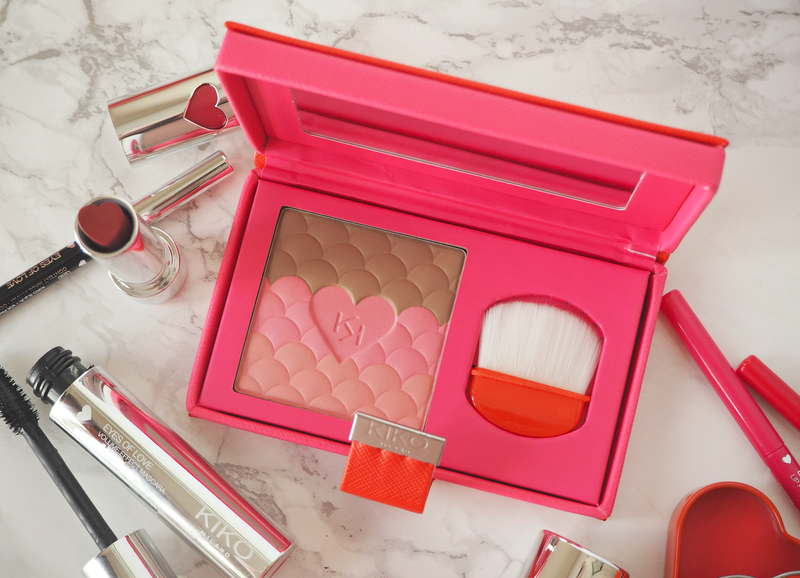 The collection itself is what you’d expect from Kiko: bright, bold, kitsch, fun and playful. 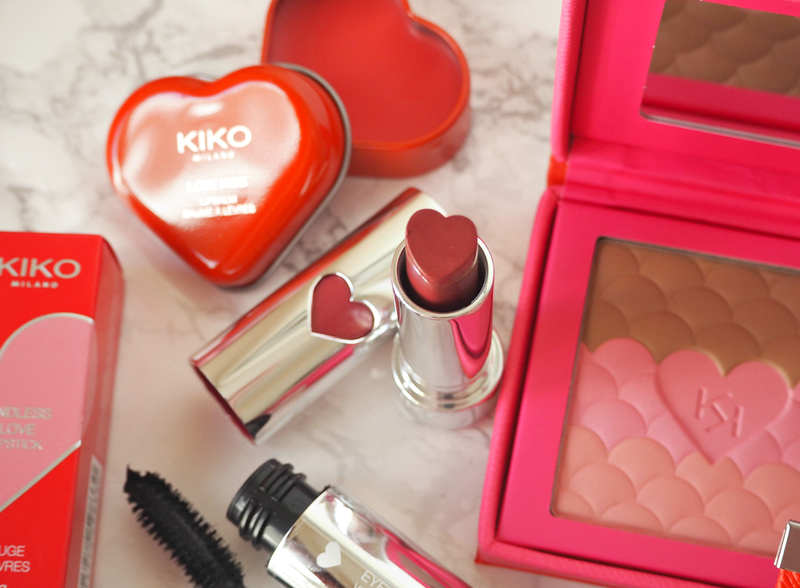 Who doesn’t love a heart shaped lipbalm tin or lipstick bullet? Although I’m not a pink type of girl at all, even I can see the appeal in this cute and wearable collection that perfectly captures the essence of the season without going overboard. Including a stunning blush-bronze palette that looks beautiful and feels like something to be treasured, three new shades of nail polishes, a couple of lip liners, a kitsch heart-shaped lip balm tin, a cosmetics pouch and even two mini fragrances, they’ve definitely covered all the bases. The heart-shaped bullets in the limited edition lipstick are adorable, even if somewhat troublesome to apply – have you ever tried to apply anything heart-shaped to your lips?! The pigments are all strong and the textures lightweight, proving that you don’t have to spend a fortune to get a decent product. If you’re a lover of dupes, then the ‘Love Elixir Face Powder’ is a great dupe for Too Faced, perfectly combining shades of pink and tan to create a flushed glow – although I would have loved a much more compact piece of packaging. The lip liners are pretty fab too, competing with the likes of Clinique and Urban Decay to provide an outline that lasts without drying lips. I’m not a huge fan of the Kiko liners or mascaras, but they’re worth a go if you’re in the market for something new (especially as they always reduce the price of their limited edition collections after a few weeks!) All in all, don’t expect any miracle formulas but you will get products that are fun, affordable and do the job. They’ve definitely been designed to encourage us all to pick up a treat for a loved one and show them how much we care; because a heart shaped lipstick says ‘I love you’ so much better than chocolates. What do you think of this kitsch and girly collection from Kiko? 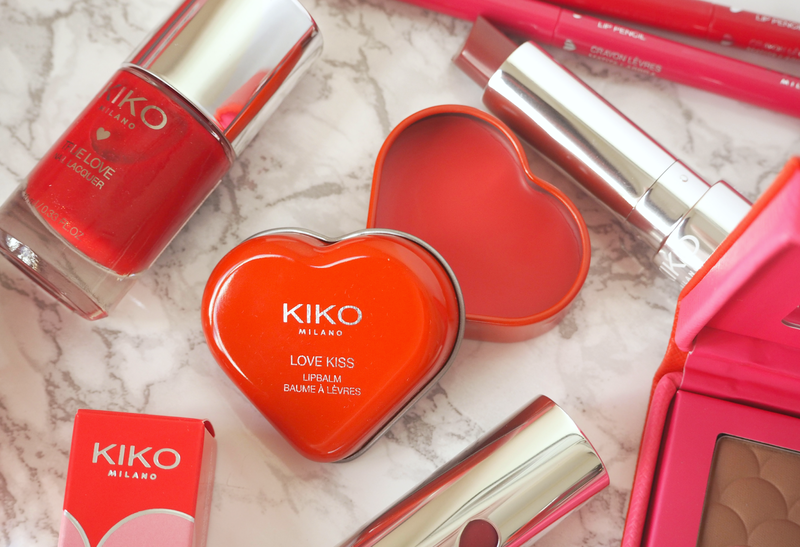 The new Kiko ‘Best Friends Forever‘ collection is available now, online and in boutiques, priced from £3.90. Previous Post No7 Protect & Perfect ADVANCED Serum: the most effective anti-ageing product ever?